Beautiful. 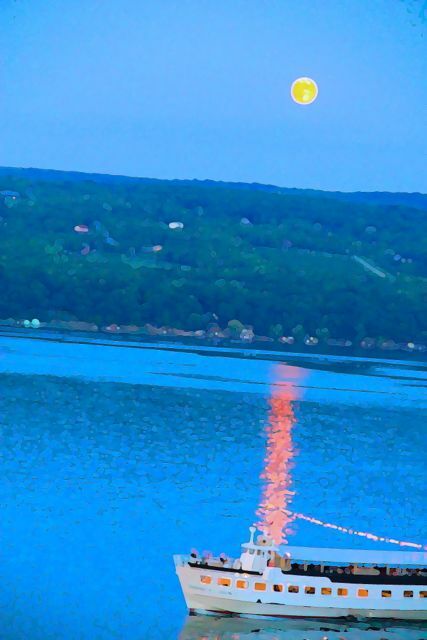 We saw the blue moon over Canandaigua Lake last night. Don’t you love the Fingerlakes. Great muisc on the way from Dan Small’s in Ithaca this season as well. Don’t miss Josh Ritter coming up quick in Sept. Thanks for the comment! Yes I adore the Finger Lakes and we need to do all we can to protect and preserve them! Hi Ruth! Thanks so much ~ it means a lot to me!